International friendship! 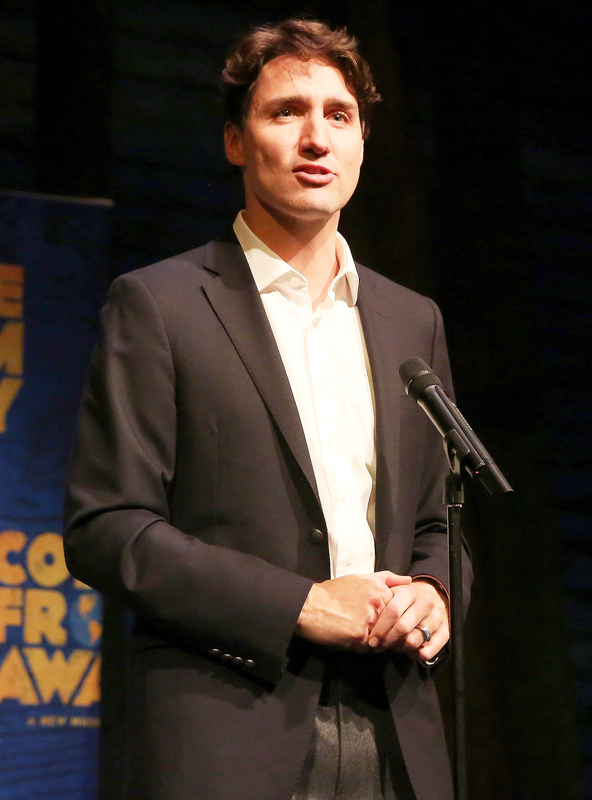 Canadian Prime Minister Justin Trudeau brought Ivanka Trump as his guest to a special showing of Broadway’s Come From Away at New York City’s Gerald Schoenfeld Theatre on Wednesday, March 15. 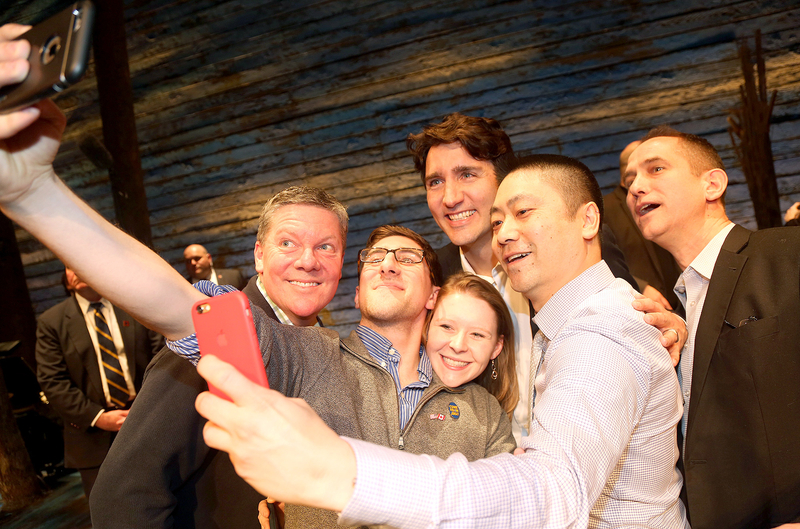 The new musical, which opened on March 12, celebrates Canada’s compassion for international travelers stranded in the country after the September 11, 2001, terrorist attacks, when all U.S. flights were grounded. It tells the story of how residents of the small Newfoundland town of Gander opened their hearts and homes to 7,000 people from around the world. 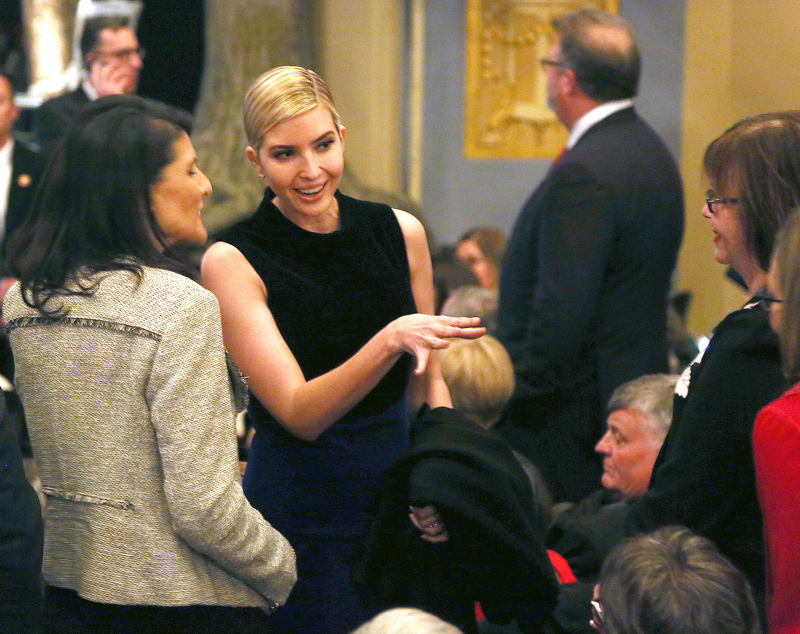 President Donald Trump’s eldest daughter, 35, took in the show sitting between Trudeau and Nikki Haley, the U.S. ambassador to the U.N. 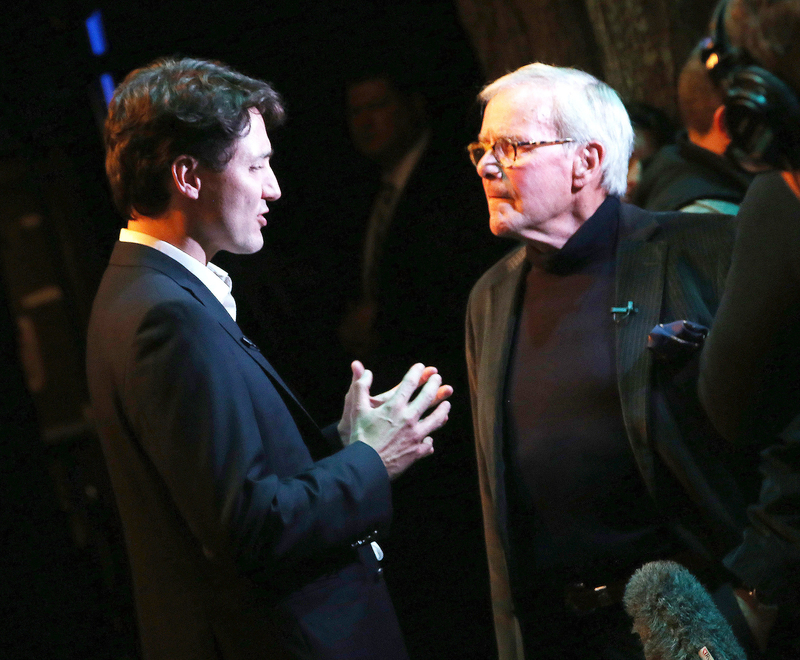 Afterward, the actors received a standing ovation, and Ivanka was seen smiling and clapping during the curtain call, NBC reports. The show arrives amid the ongoing national debate over welcoming foreigners. President Trump has signed several versions of a travel ban, which now aims to stop people from six predominantly Muslim countries from coming to the U.S. Supporters say it will prevent terrorism and keep the country safe, while critics argue it’s unconstitutional for discriminating based on religion.